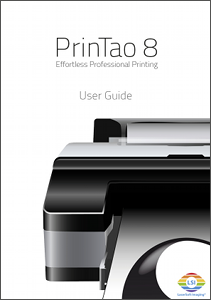 PrinTao 8 features a built-in help document. To access this help, click on “Help“ at the top menu bar and select “PrinTao 8 Help”. In addition, You may download the user guide as PDF file by clicking on the adjacent PDF icon.